Have you ever heard from someone that you shouldn’t miss an opportunity? Or you were confused on weighing things and you end up considering the opportunity that you will miss? What’s the first thing that will come to your mind when you heard of opportunities? When you type the phrase “opportunities that you shouldn’t miss” on google search bar , the top 5 results will give you articles about money and business, but guess what, there are other far more important opportunities that shouldn’t miss. The Opportunity to Laugh. I always laugh as hard as I can whenever there’s an opportunity. You might ask me why. Think of the people who have depression. Think of the people who have too many problems. Even if they have reasons to laugh, the just CAN’T. Yes, laughter is free but the genuine happiness that you can get from it is simply PRICELESS. 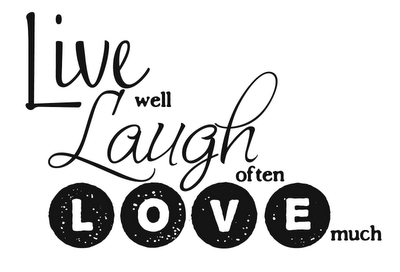 Laugh as hard as you can, you may never know what will happen in your life. Make those laughing moments memorable so whenever you are sad and having a hard time, you will remember, “Life is too beautiful to focus on negative things”. The Opportunity to Love. We are too busy running after life. We are too busy running after our goals. We are too busy running after money that we forget to love our friends, to love our family, and above all – TO LOVE OUR SELF. The Opportunity to Share Your Life. Wouldn’t you be happy if you will leave this world and you have left a piece of you to other people? Make an impact on other people’s lives. Make your lifetime worthy by influencing others – by sharing your values – your beliefs. Don’t miss these three valuable opportunities. Life is too short. Don’t waste your time complaining about how bad your life is. Life is too short, in just a few years, your hair will turn gray and you will probably find it difficult to laugh because you have no teeth anymore. Great post Sarah! You hit me three times. How I wish I can laugh again, the way I laughed before. You are right life is too short,too short to accomplish all our dreams and goals not for ourselves but for our love ones. The reason why I forgot about MYSELF. Hope to read more inspiring notes from you.